I recently read a highly sophisticated survey, polled by the media giants over at PopEater.com, that said the person America would most like to invite over for dinner is Jennifer Aniston (Daly, 2008). Now while I would enjoy a little one on one time with America's favorite haircut as much as the next Kmart shopper, I think the far more intriguing question is, "Who would you least like to have in your home?" There are the obvious candidates: MTV reality-show stars, Osama Bin Laden, Martha Stewart. But I think there are more telling answers. Think about it. Who are you most afraid of? 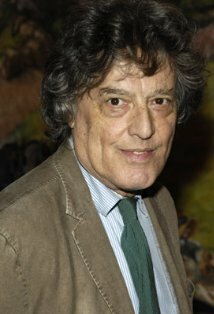 Speaking for and as Jeffrey Scott Parsons, which I do quite frequently, I hereby declare that, according to me, the most terrifying human being alive is playwriting legend Tom Stoppard. And yet, the question begs to be asked, "Why?" Why would a theatre nerd, such as I, be so terrified of a playwright such as him? I will answer that in one word, "his brain." Wait, that's more than one word...I take it back. "Arcadia." Yes, that's my answer: Arcadia. Forget Rosencratz and Guildenstern Are Dead, The Real Thing, The Invention of Love, all three plays that make up The Coast of Utopia. You can even throw out the screenplay of Shakespeare In Love. It doesn't matter. Arcadia is scary enough. This phobia of mine didn't always exist. When I was a child, I was frightened by normal things: tarantulas, the dark, the music video of Michael Jackson's hit "Thriller." Of course, I've since grown out of those fears. Harry Potter and the Chamber of Secrets took care of the tarantula thing. I grew to embrace the dark as I started needing to use the bathroom in the middle of the night. And "Thriller..." well, OK, I still haven't seen the whole thing, but the Mickey Mouse Club did perform the song on one of their Halloween specials in the early nineties that did wonders for me. Stop it, Stoppard, Stop it! Then how did I come to this? How did I resort to waking up in a cold sweat, pondering the philosophical debates of Russia between the years of 1833 and 1866? The explanation is also the answer to why I no longer think Thai food tastes like stomach acid: I've matured. Or more accurately, I hope I've matured. You see, I would like to think of myself as an educated person, someone with whom you can converse, laugh think, etc... And yet, when I read a Tom Stoppard play, I feel as though it is more alive than I am. To prove my point, I will share with you a two sentence synopsis of his fore-mentioned play, Arcadia, as found on America's leading source for unreliable knowledge, Wikipedia. "Arcadia alternates between a pair of present day researchers investigating an early 19th century literary mystery and the real incident that they are investigating. It touches on mathematics, thermodynamics, literature, and landscape gardening as it examines the quest for knowledge" ("Tom Stoppard," 2009, "Work"). WHAT!? Did anybody understand that? What are thermodynamics, and what do they have to do with landscape gardening? Look, the problem, as I see it, is that they are emotionally connected somehow. But do you know who's the only guy that understands how? My point is the guy makes me feel like a Walmart. He's too smart! If we were to have dinner, he would already have the first draft of a future, award-winning drama before I'd finish the appetizers. I picture him calmly drinking tea while I ferociously try to sound intelligent with remnants of blue cheese dressing on my face from the buffalo wings. His new play would probably be about bar stools and microbiology in which my life would be used as a metaphor for "blindness cause by one's own mediocrity and disappointing lack of potential" (Parsons, 2009). OK, I'm getting a little carried away. Actually, having talked about it, I feel better now...lighter, like a weight has been lifted. Am I still scared? Yes. But maybe I'm supposed to be. 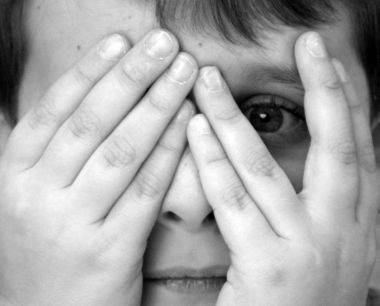 Maybe our fears are merely signs that we still have something to learn. Then again, maybe our fears are loud, flashing lights, warning us of dangers ahead. But when all is said and done, why leave life up to a bunch of "maybes?" Who knows? One day I might do a Tom Stoppard play. I'll think I'll begin by taking one to lunch...thermodynamically speaking. Parsons, Jeffrey Scott (2010). My Insecurities. The Book of Jeff. Not published...not finished. I absolutely hate feeling like a Walmart. (That was one of the most clever analogies I've ever seen.) Also, I am so impressed by your APA format...have you been secretly reading my APA manual?! :) lol Yet again...your blog makes my day. I second Mel on the APA. I'm so proud!